This online personal training program guarantees to improve physical fitness for all ages and levels - beginners to elite athletes. 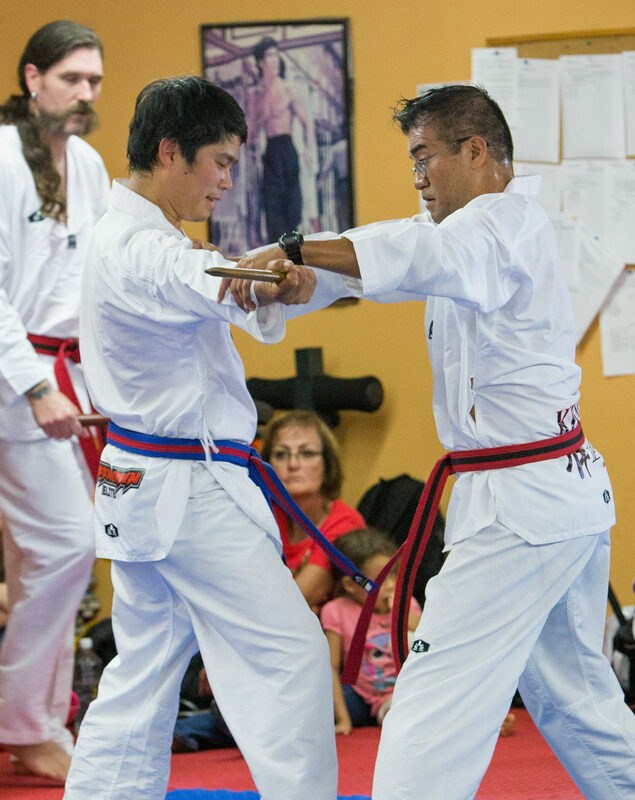 We are a school that guarantees better focus, fitness and discipline in every student that joins our program and commits to weekly required classes. Taekwondo is becoming the ultimate force in keeping the student centered and focused on important goals. Our students—who commit to a minimum of three classes weekly, greatly improve in areas of scholastic endeavors, fitness levels and emotional balance. Within 6 months of dedicated training, greater self-confidence and self-esteem levels arise in the student, giving them the motivation to achieve success in areas they did not believe possible. Bullying continues to be a big challenge for kids and adults alike. Taekwondo empowers the student to higher levels of confidence which is revealed in their everyday behavior. 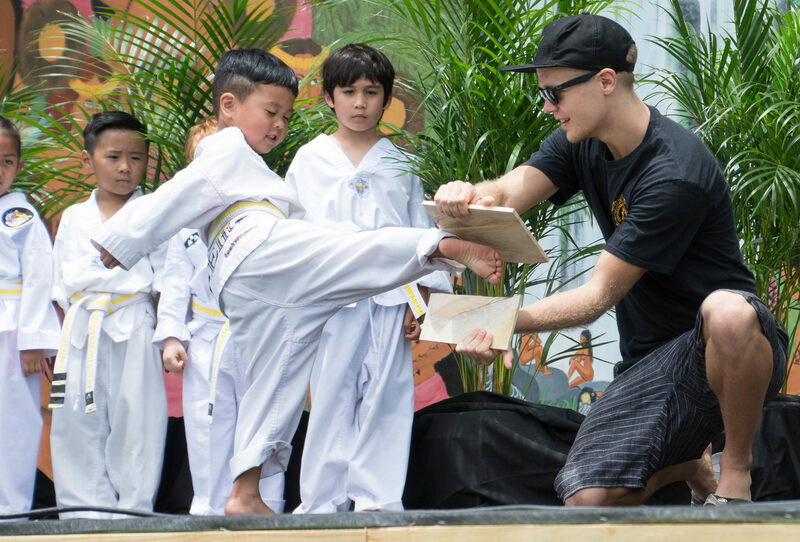 Bullies are primarily attracted to easy targets—shy kids, kids with low self esteem, etc.—Taekwondo creates powerful people who are assertive, maintain healthy boundaries at school and in life and who are not afraid to defend themselves if need be. Our program works for bullies as well. By training side by side with our black belt role models, bullies quickly adapt to their senior mentors who model the ideal social behavior. And reformed bullies have the potential to be role models to other bullies. But Taekwondo is NOT just for kids. In fact, adult membership in Taekwondo has increased exponentially over the past decade due to the amazing benefits available. The adult student can gain significant levels of fitness, cardio and energy; while experiencing a reduction in stress, depression and menopausal symptoms in women.. The middle aged student regains their youthful attitude and outlook and in turn creates a whole new world of possibilities for themselves. Family relationships GREATLY improve when everyone participates. “Families that kick together, stick together”! According to the ADDA, depression, anxiety and/or similar disorders effect an estimated 20 million people in the US per year’ and the numbers continue to climb. To make things worse, prescription medications for these mood disorders do not guarantee a return to a balanced mood. In fact, many of these drugs come with dangerous side effects, such as weight gain, suicide ideation and more. Neurologist have discovered that Moderate Exercise—such as practicing Taekwondo 3-4 times weekly— Increases Hippocampal Volume and Improves Memory in older adults...as old as 80! Recent research has discovered that the size of our hippocampus correlates with our mood. In the largest international study to compare brain volumes of people with major depression to those of healthy people found that those suffering from mood disorders—bipolar, depression, etc—tend to have a significantly smaller hippocampus. The adult student who practices Taekwondo diligently three times a week, will notice a reduction of depression rapidly. 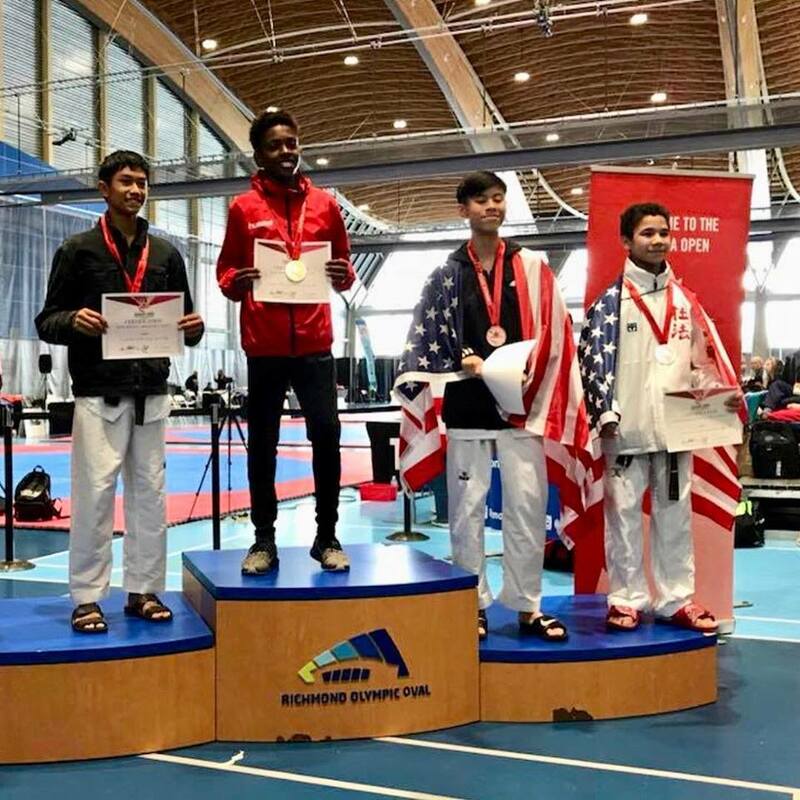 kiffmann taekwondo utilizes—within our syllabus—high Intensity interval Training, which has been proven to be exponentially effective for improving cognitive, emotional and mental functioning of our neurological system. In summary, we are a Preparatory School that equips the student with the life skills necessary to be successful in scholastic, athletic, behavioral and life long endeavors. Our program offers the ability to dramatically improve the students life. 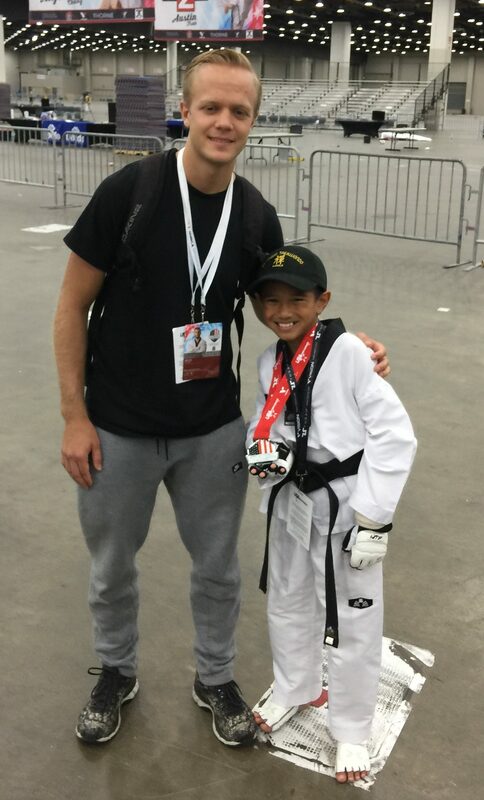 Check out our testimonials page to read firsthand accounts of the benefits of Taekwondo. 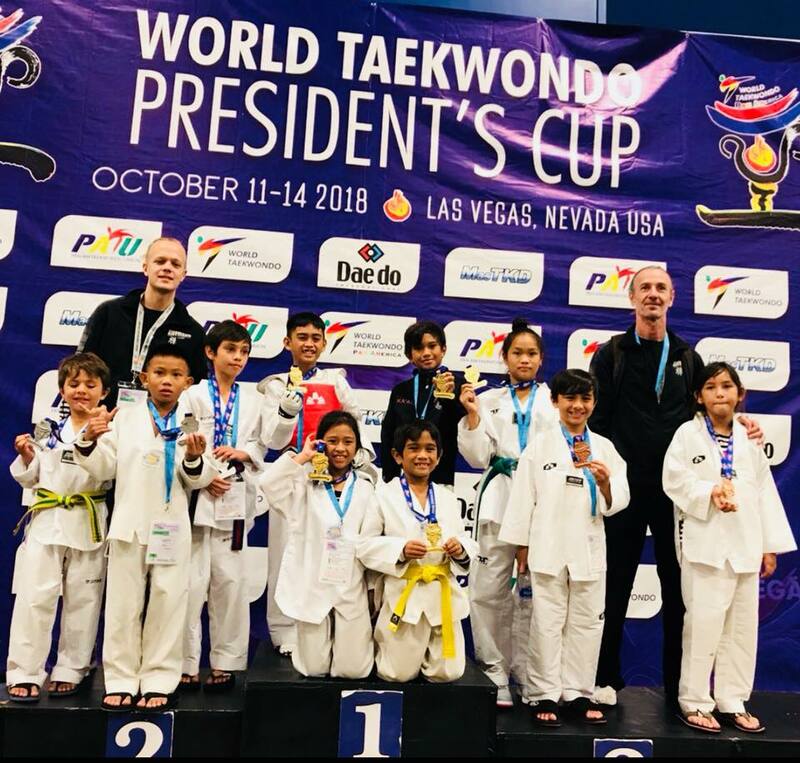 We invite you to be a part of our exciting program and experience for yourself the many rewards Taekwondo has to offer. Our teen/adult program is for ages 13 and up. Many of our students are in their 30s, 40s, 50s and some in their 60s!! Copyright Maui Elite Taekwondo Center,LLC.